Bill Ballard brings more than 35 years of trial experience to Harris Lowry Manton LLP. His practice focuses on medical malpractice, but his expertise extends to product liability, serious motor vehicle collisions and other complex personal injury litigation. 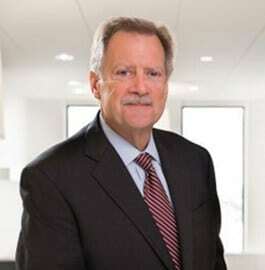 Bill has earned Martindale-Hubbell’s “preeminent” rating and has been recognized in Super Lawyers every year since 2004, including six times in the Top 100 in Georgia. He is a member of the Georgia Trial Lawyers Association, American Association for Justice and the American Bar Association. During law school, Bill worked part-time for several Atlanta law firms, and would often slip into courtrooms to watch trial proceedings. That spurred his interest in litigation. After law school, he practiced in a medical malpractice defense firm before realizing his passion for representing victims in personal injury cases. Bill was a named partner in several law firms before joining HLM. He received an economics degree from Vanderbilt University and his law degree from Emory University. He is often a speaker at legal seminars and frequently mediates medical malpractice and other tort cases. Before law school, Bill worked as a businessman in New York. He was born in Louisville, Kentucky, and he lives in Atlanta and Daniel Island, South Carolina. He is married and has four daughters.